There are some days that KDE 4.1 is finally out, as you probably already know, and it comes with a lot of innovations for the Linux desktop. KDE 4 is the next generation of the popular K Desktop Environment, which seeks to fulfill the need for a powerful yet easy-to-use desktop, for both personal and enterprise computing. The new version provides increased stability over the first KDE 4 version and more eye candy! Here is a step by step guide how to install KDE on your existing Ubuntu 8.04 or 8.04.1 LTS desktop. Ubuntu 8.04 LTS is the upcoming version of the Ubuntu operating system. The common name given to this release from the time of its early development was “Hardy Heron”. Before upgrading it is recommended that you read the release notes for Ubuntu 8.04 LTS, which document caveats and workarounds for known issues in this version. Note: If you have a version of Ubuntu other than 6.06 LTS or 7.10, please see Installation/UpgradeFromOldVersion for information on how to upgrade. Which Ubuntu CD to download? 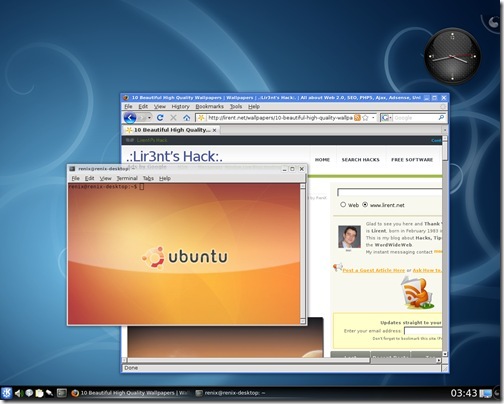 There are several different types of computer which Ubuntu is compatible with. The type of computer you have is determined by its processor architecture; this is a technical term which just refers to what type of processor the computer has. This guide explains which Ubuntu CDs work on which computer architectures. This works on most common "IBM compatible" PC systems. If Microsoft Windows will run on your machine, then this CD should also work, although many newer systems may gain a slight performance increase if they use the 64-bit CD below. Most computers are of this type.